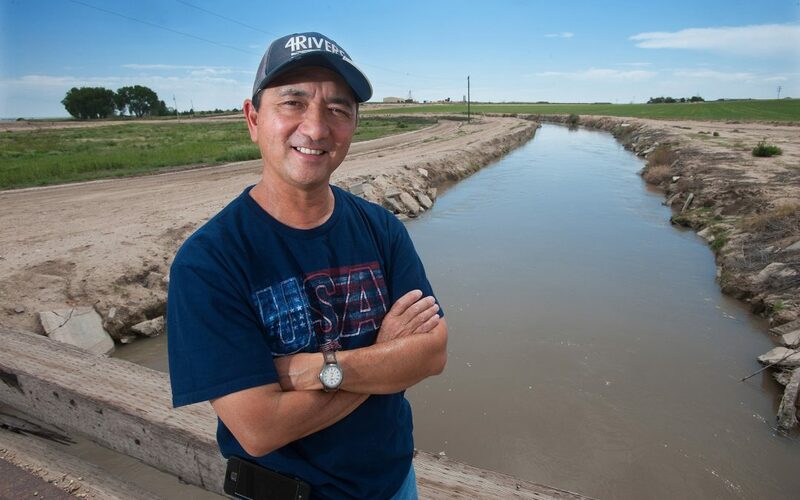 Glenn Hirakata, 53, is a fourth-generation farmer in the Arkansas River Valley. In a region with traditions that go way back, Hirakata is embracing something decidedly modern, a program in which the region’s scarce water is being shared with cities. “It’s such a new concept,” he says. 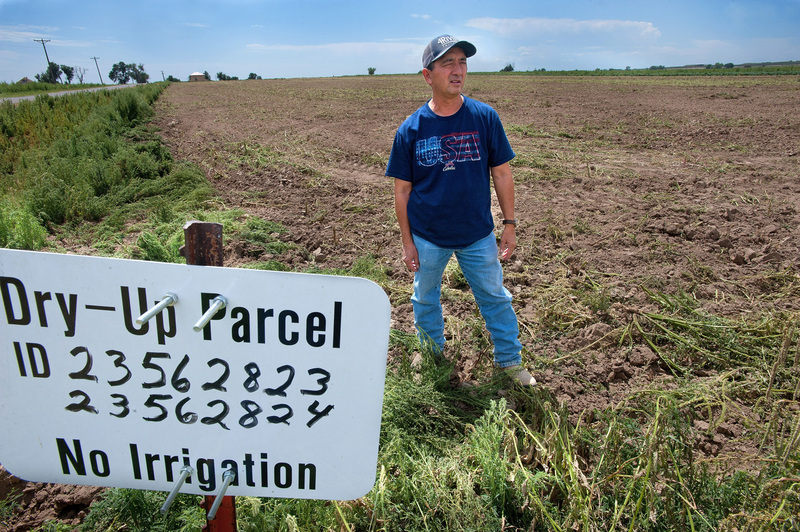 “It’s a learning process.” The 10-year lease fallow program on the Catlin Ditch involves six farms and 902 acres of irrigated land. The water is exchanged through Pueblo Reservoir and then delivered to Fountain and the Security Water District. The town of Fowler also participates, using the water to augment its well pumping. Hirakata, who grows honeydew and watermelons, as well as cantaloupe, pumpkins and some grain, is one of six farmers who signed up for the program in 2015. He placed one, 150-acre farm in the pilot. His family has about 1,250 acres under cultivation. Under the terms of the agreement, farmers can fallow up to 30 percent of their acreage to save water that can be transferred to municipalities. Fields are allowed to be fallowed for three out of 10 years. In 2016, 406 acre-feet of water was delivered to the three towns. In exchange, farmers were paid $1,020 per acre, and spent $37 an acre controlling weeds and erosion on land that had been fallowed. The program is working well so far, Hirakata says, but 2016 and 2017 have provided abundant water. “We don’t know what is going to happen in a dry year,” he says. “There is a lot of risk. You have to deliver the water to receive any benefit. If we can’t deliver, we’ve left ground idle.” To create the data needed to support the program, each farm’s water system was analyzed and engineering work completed to ensure the measurements were accurate.